The FDA’s new approach to cigarettes is good for public health. It’s unclear what a reduced-nicotine cigarette will be, but vaping is the future, and the plan is good for vaping. The FDA’s top-down approach to tobacco regulation never made sense for e-cigarettes. On Friday, the Food and Drug Administration announced that the agency would be taking a new approach to tobacco regulation—including an initiative to lower nicotine levels in cigarettes to “non-addictive” levels. This came as a shock to the industry. Stocks of major tobacco companies plunged after the announcement, apparently dashing expectations that the agency would be taking a more business-friendly approach to regulation under the Trump administration. But this is in fact a business-friendly approach to regulation—at least to the business of e-cigarettes and other vapor products. Although the wisdom of mandating lower nicotine yields in cigarettes is debatable, the agency’s new openness to e-cigarettes is fantastic news for public health. In the eight years that the FDA has had the reins on tobacco regulation (yes, prior to that it did not have authority), it has done very little to curb smoking. Instead, it has imposed rules that protected Big Tobacco from competition and threatened to destroy the burgeoning market for e-cigarettes. Friday’s announcement changes all that, signaling a move toward a much more sensible policy toward vapor products under new FDA Commissioner Scott Gottlieb. The regulatory regime that governs cigarettes has never functioned well, and it would have been disastrous for e-cigarettes, threatening to undo the most promising anti-smoking technology to come along in decades. Obama neglected to mention that one of the law’s key supporters was none other than Philip Morris, owner of Marlboro, the best-selling brand of cigarettes in the United States. Representatives of Philip Morris had worked on the bill behind the scenes with the Campaign for Tobacco-Free Kids, acknowledging a “commonality of interests” in pushing it through Congress. The law directed the FDA to set up a system of pre-market review for any new cigarettes introduced after 2007. In theory, producers of new cigarettes merely had to demonstrate that their products were substantially equivalent to ones already on the market, a straightforward process that was intended to take no more than 90 days. In practice, new entrants were unable to penetrate the agency’s opaque approval pathways, resulting in a yearslong freeze on competition. Philip Morris benefited from owning Marlboro, whose near 40 percent share of the market has barely shifted under FDA regulation. The agency’s failure to effectively regulate cigarettes, a mature technology that has been extensively studied since the 1950s, raised doubts about its competence to take on the far more complex questions surrounding e-cigarettes. When the FDA detailed its plans to aggressively regulate e-cigarettes last year by using the same exact regulatory regime it had used for cigarettes, that concern seemed warranted. Per that plan, any vapor products introduced after 2007—essentially all of them—would have to retroactively apply for pre-market approval. Those that failed to receive it could be ordered off the market, potentially sending millions of users back to far more dangerous combustible cigarettes. It looked as if Philip Morris’ gamble would pay off more than anyone could have anticipated. Since the market for e-cigarettes barely existed in 2007, there was no baseline established for the product, meaning e-cig producers couldn’t just apply under the substantial equivalence standard that is available to cigarettes. Instead they had to meet a much vaguer standard, convincing FDA regulators that approving their products is “appropriate for the protection of the public health.” It’s uncertain exactly what that will entail with the FDA’s new direction, but we do know that it would have been outrageously expensive to seek approval under the old one. The FDA’s own impact analysis estimated that the cost of application would average $466,563 for delivery systems and $131,643 for e-liquids, compared with only $22,700 for conventional cigarettes applying under the substantial equivalence pathway. The agency’s existing guidance on what to include in applications is daunting, going far beyond providing basic toxicological and safety reports. Producers are also required to show that their products will be beneficial to the health of the population as a whole by proving that they will not discourage current smokers from quitting or lead nonsmokers to initiate use. Thus, even if a vapor product is indisputably safer than conventional cigarettes for the individual user—and the vast majority of them most certainly are—the FDA could ban it anyway. Given these regulatory hurdles, one may wonder who would have bothered even attempting to surmount them. Indeed, the FDA expected that not many would try. The agency’s preliminary impact analysis predicted that the costs of seeking approval would be “high enough to expect additional product exit, consolidation, and reduction in variety” in the e-cigarette sector and that only 20 to 80 applications would be received in the first two years of regulation (it has since revised this estimate upward). As the deadline for submitting applications loomed in late 2018, literally thousands of products—not just hardware but also discrete flavors and concentrations of e-juice—faced removal from the market. When the regulations were originally announced, critics had dubbed the law the “Marlboro Monopoly Act,” because the new barriers to entry would end up insulating Philip Morris from competition. Once they were expanded to e-cigs and the agency seemed poised to ban thousands of vapor products, the nickname took on new meaning. Who would be left to fill the demand for e-cigs, and who would have the money and know-how to navigate the byzantine, expensive path to FDA approval? The big tobacco companies, of course. Though late to the game, big tobacco companies have finally begun investing heavily in new alternatives, including the massive research budgets needed to get past FDA administrators. Friday’s announcement doesn’t eliminate these regulatory burdens, but it does push back the deadline to submit applications to 2022. It also gives the agency time to further study the effects of vaping on smoking cessation and initiation, potentially allowing for the creation of general standards that will relieve companies of having to conduct costly original research for every individual product. The FDA’s top-down approach to tobacco regulation, with its glacial bureaucracy and barriers to entry that favor large corporations, was always ill-suited to the dynamic market for e-cigarettes. These new products didn’t originate with pharmaceutical companies, which have focused on nicotine replacement therapies like patches and gums that fail to replicate the experience of smoking and therefore have limited appeal. Nor did they come from the big tobacco firms, whose dabbling in safer cigarettes was long hobbled by lawyerly double-speak denying that regular cigarettes were dangerous in the first place. In contrast, e-cigarettes were developed by a Chinese pharmacist and then evolved through exchanges on passionate online communities. As detailed in a recent paper from the Reason Foundation, home experimentation, larger batteries, and standardized threads to connect power sources to vaporizers helped create a highly hackable, competitive market that allows vapers to customize safer alternatives to cigarettes that work for them. (Disclosure: I also write for Reason, which the Reason Foundation publishes.) Today’s vapers benefit from the kind of bottom-up innovation that could have never flourished under heavy-handed regulation by the FDA. Though many questions about the effects of vaping remain to be answered, the evidence so far is that it has the potential to greatly reduce the death toll of cigarettes. In the United Kingdom, the Royal College of Physicians has estimated that vaping carries just 5 percent of the risk of conventional smoking and advises policymakers to encourage its adoption by smokers. American health institutions are more hostile, with the Centers for Disease Control and Prevention raising the alarm that e-cigarettes will be a gateway drug to the real thing. Yet youth smoking rates have fallen by half even as vaping has become more popular, and evidence is mounting that e-cigarettes can help smokers quit. The success of harm reduction approaches is also evident in Sweden, where the use of smokeless snus has helped the country achieve the lowest smoking rates in Europe. While the full details of the FDA’s new approach have not yet been revealed, the announcement signals a promising reversal from a path that would have perversely favored lethal cigarettes over much safer alternatives. The agency’s previous course would have been terrible for public health, purging the market of thousands of vapor products and sending smokers back into the arms of Big Tobacco. 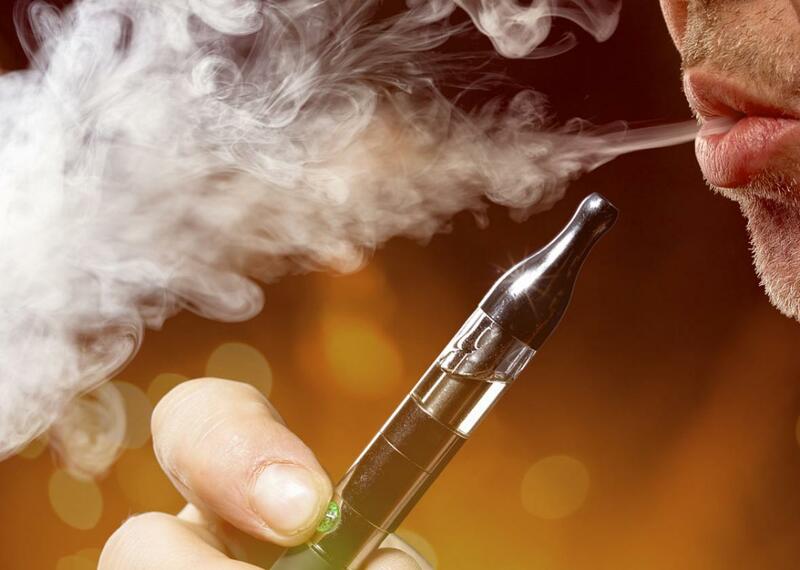 E-cigarettes are giving smokers the best shot to quit they’ve had in years. Regulation that stifles that innovation would represent a seizing of the market by the only companies rich and well-connected enough to navigate the FDA’s costly approval process. That would have been very good for Philip Morris, but not for the smokers finally finding a way to quit its products. Disclosure: I worked at the Cato Institute almost a decade ago when it received some tobacco company donations.